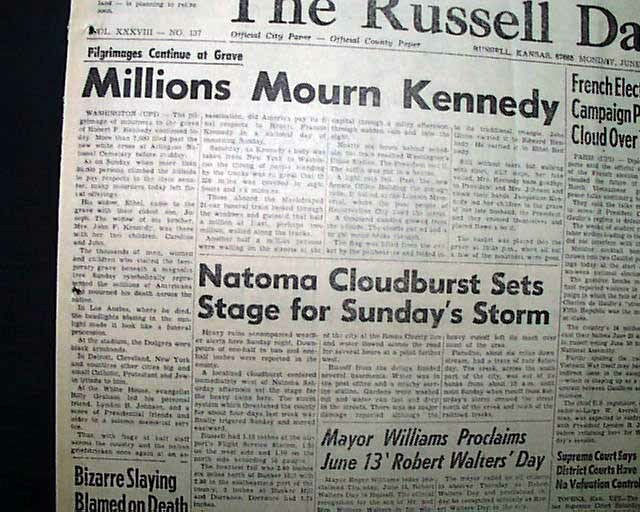 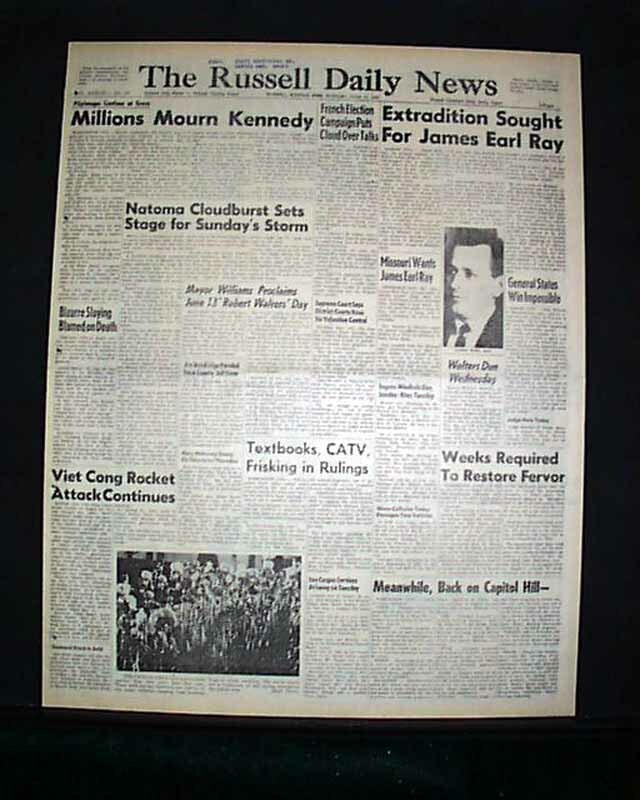 Also on the front page is bold headlines "Extradition Sought For James Earl Ray". 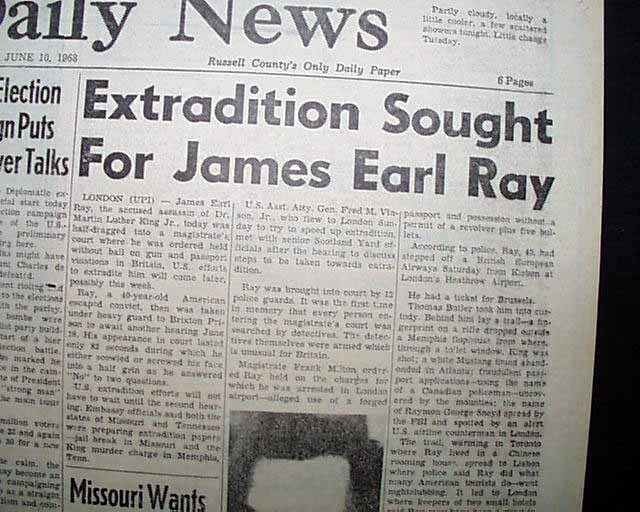 "James Earl Ray, the accused assassin of Dr. Martin Luther King Jr., today was half-dragged into a magistrate's court where he was ordered held without bail on gun and passport violations in Britain, U.S. efforts to extradite him will come later, possibly this week..." This also includes a photo him. 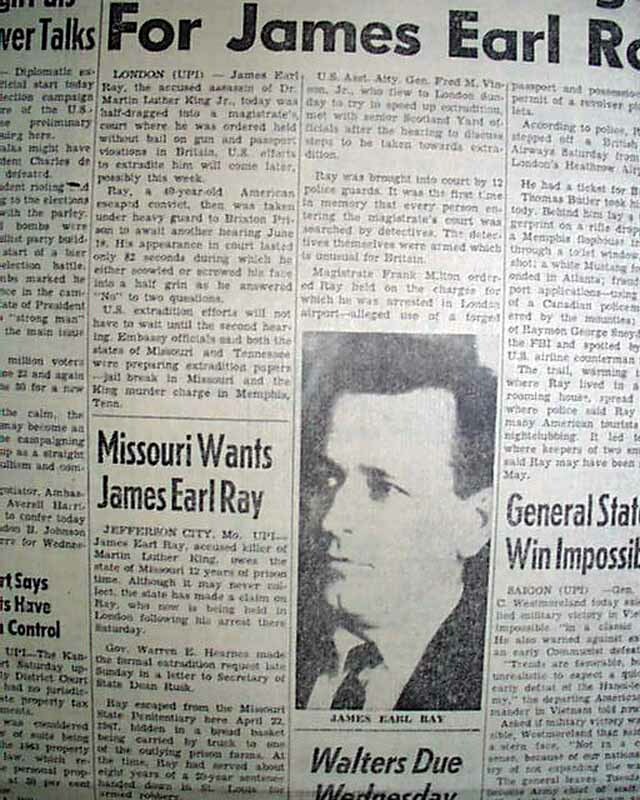 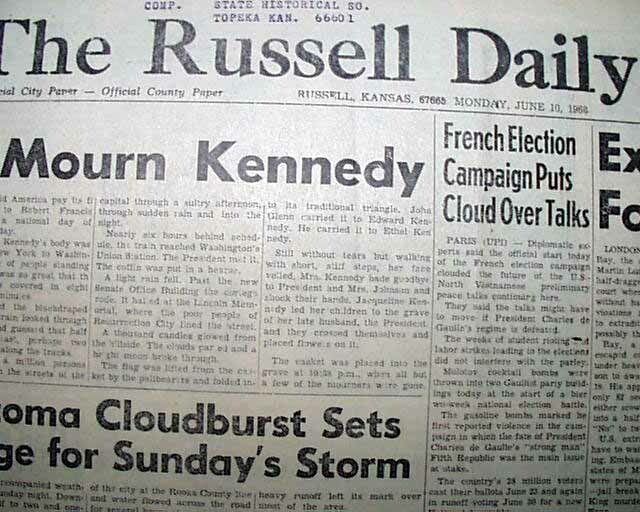 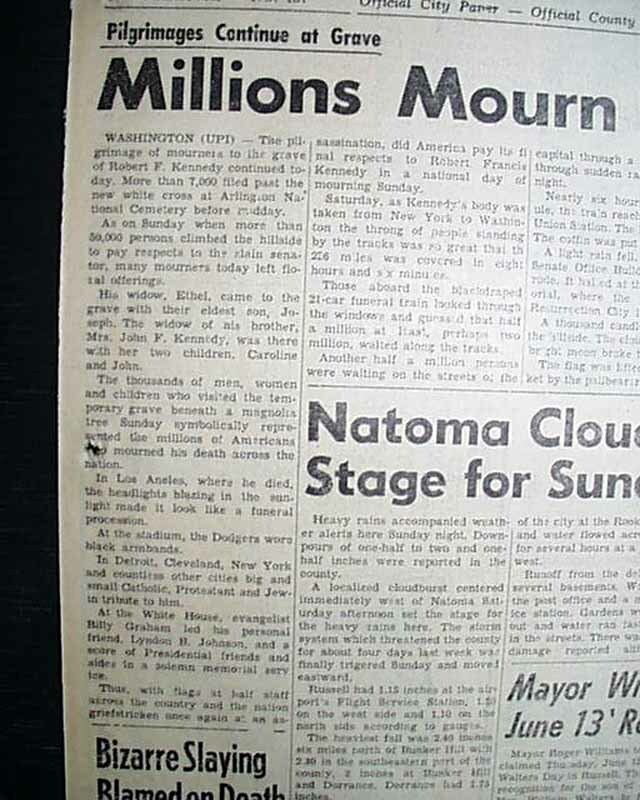 Another article is entitled "Missouri Wants James Earl Ray". 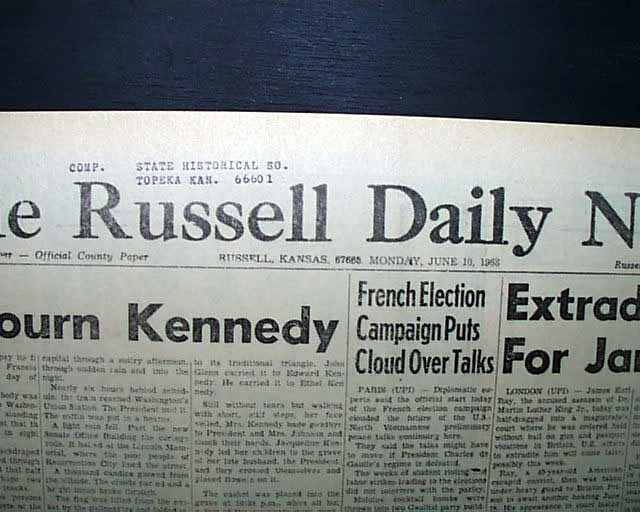 Complete in six pages with some binding holes along the left spine otherwise is in very nice condition.